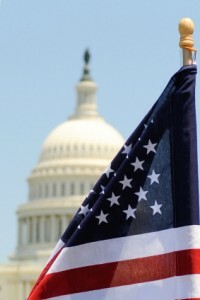 This is the second in a series of five stories outlining American Farmland Trust’s vision for the 2012 Farm Bill. For more information on our recommendations and positions, please visit www.farmbillfacts.org. More than 30 years ago, American Farmland Trust was founded by a group of farmers and citizens concerned about the rapid loss of farmland to development. Since then, we have worked as a national leader on the issue, helping to drive farmland protection efforts around the country with countless state and local partners. However, even as this movement has spread, so have the forces of farmland destruction. The 2012 Farm Bill presents an opportunity to set the course for the next 30 years. With increasing demands on U.S. agriculture to produce food, fiber, energy and eco-services, the need to protect the nation’s irreplaceable farmland resources is more critical than ever. At the same time, budget constraints will challenge the role of the federal government in protecting farmland in the future. Currently, USDA’s Natural Resources Conservation Service (NRCS) has jurisdiction over five easement programs: two focused on working agricultural lands and the remainder on retiring environmentally sensitive land and taking it out of production. The number of similar programs has caused confusion in farm country and concern in the nation’s capital, eliciting calls for consolidation. American Farmland Trust agrees. If done right, consolidation provides an opportunity to create more focused and results-oriented easement programs while maintaining the critical elements that make these programs successful. The Farm and Ranch Land Protection Program and Grassland Reserve Program share common objectives: keep agricultural land in production and contribute to local economies. Combining them under a Working Lands Easement Program will create a stronger program without sacrificing effectiveness. The last farm bill already brought the two programs closer together, making Farm and Ranch Land Protection Program more range land friendly and instituting the Farm and Ranch Land Protection Program model of local partnerships as an option in Grassland Reserve Program, so that the program no longer operates solely through USDA. That way federal funding is leveraged with other funds through local partners to get a bigger bang for the buck. In fact, through 2010, Farm and Ranch Land Protection Program projects have matched more than $1.80 in non-federal funds for every federal dollar invested. The programs that take environmentally fragile land out of production—Wetlands Reserve Program, Emergency Watershed Program and Healthy Forests Reserve Program—also can be merged. A consolidated Land Retirement and Restoration Program would continue to offer protection for previously farmed wetlands; forest lands that support biodiversity and critical wildlife habitat; and threatened farmed floodplains. By remaining separate from the Working Lands Easement Program, this new program would be able to maintain the restrictive easement terms that are crucial when retiring fragile land but would cripple efforts to protect working lands. Additionally, we must continue to strengthen the farm and ranch land protection movement through innovative new programs. We propose instituting a new Debt for Working Lands Easement program, a restructuring option for farm-owner loans through Farm Service Agency and secured by real estate. This program would retire debt on agriculturally productive land in return for permanent conservation easements, protecting the land and allowing it to continue being used for agricultural production. This tool would both further farmland protection and provide an option to help farmers and ranchers eliminate debt and remain in farming. The threats to America’s farm and food resources are real. Through farm and ranch land conservation on both working and retired land, we can protect the land base we need to grow food while keeping the land vibrant and healthy into the future. The 2012 Farm Bill is instrumental in making land conservation more effective. American Farmland Trust’s vision of new programs and tools—the Working Lands Easement Program, the Land Retirement and Restoration Program and Debt for Working Lands Easement—can strengthen the farm and ranch land protection movement and truly help farmers, ranchers and communities meet their conservation needs. This entry was posted in Conservation, farm bill, Farmland Protection and tagged conservation, farm bill, Farmland Protection, federal policy, FRPP on November 23, 2011 by Bob Wagner.